Looking for a last minute gift idea or stocking stuffer for that young sports fan in your life? 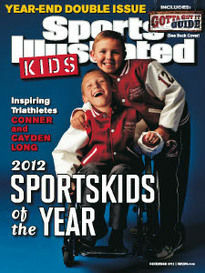 Sports Illustrated Kids is the perfect gift! With no lines to stand in and wait you can easily purchase this gift online. It’s the gift that keeps on giving the whole year through. For a special offer, order Sports Illustrated Kids here. I have never seen this magazine before. my kids would love it. I love the cover of this magazine ! I was never aware of them making a sports Illustrated for kids … This would be a great gift for any young sports fan ! This would be great for my son! I am definitely looking into this! Thank you for sharing!